The year 2011 promises to be one of our biggest and best years ever for Winshuttle. In 2010 we doubled the number of products we offer, we significantly expanded our distribution capability, and we set up the right teams, tools and processes in all parts of our company. So, in 2011 we are really well-positioned to take off! The second big theme for Winshuttle in 2011 in “Innovate”. Innovation at Winshuttle will show up not only in the new products and features we will be introducing to our customers, but also how we support our customers, how we reach out to them, and how we internally run as a business. The Winshuttle Engineering team started a program called Winnovate 2011 where each member of the engineering team gets one day every month to work on something new and innovative outside of their regular product development activities. All of us at Winshuttle are looking forward to bringing many innovative ideas to our customers in 2011. Don’t wait, Search for it! 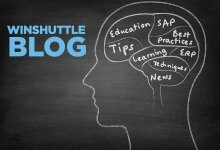 Winshuttle User Group Conference – A Resounding Success!